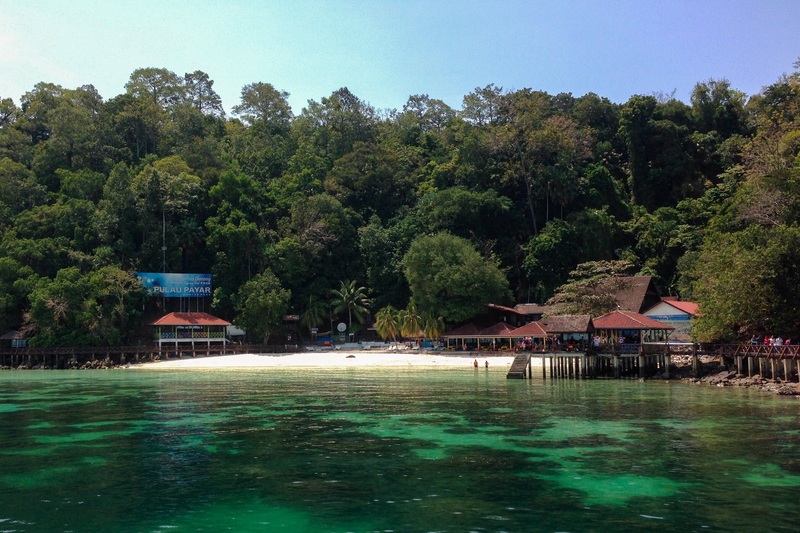 On Saturday, we spent the day on Palau Payar, a small island and marine reserve, about 45 minutes from Langkawi. It was a chance for the three of us to snorkel and see some marine animals rather than more land based ones – and it was fantastic. Palau Payar is a beautiful, tiny little island, completely covered in dense forest, except for the beaches. There are no inhabitants on the island or hotels because it is a protected area. 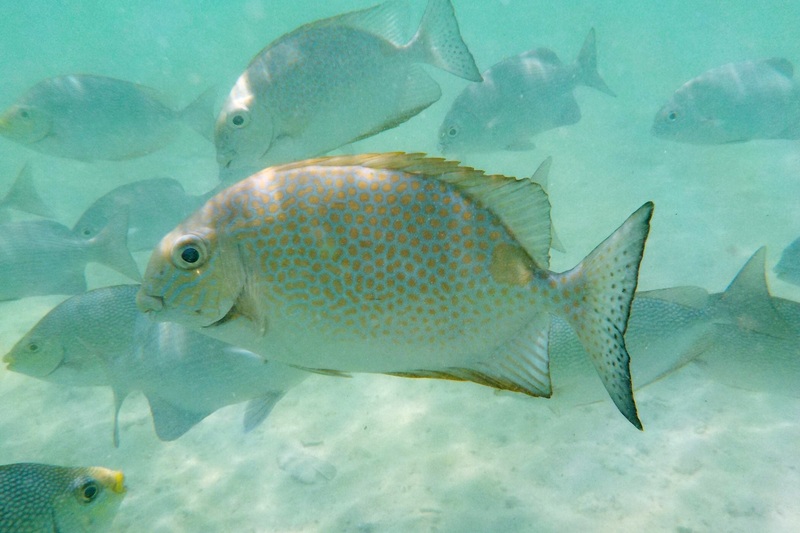 We jumped into the water with our snorkel gear as soon as we arrived and saw coral fish, parrot fish and baby sharks, swimming around the shallow water by the beach. 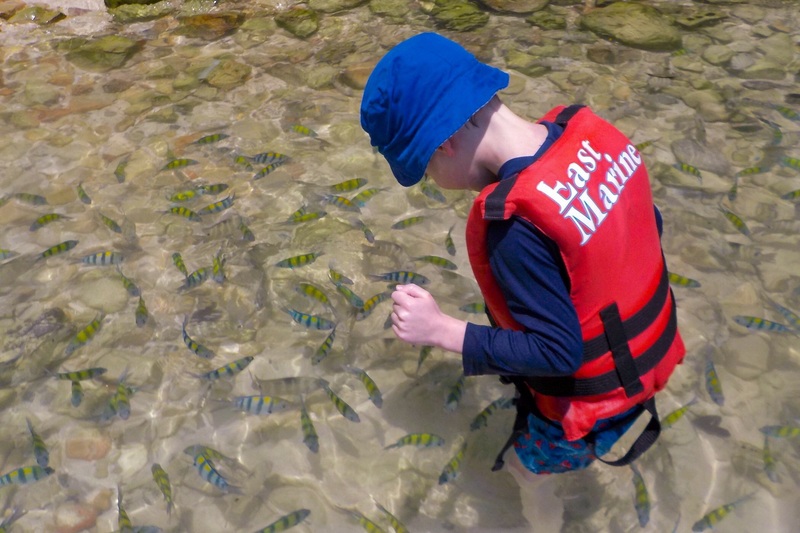 In the afternoon, our guide took us to another beach and out into deeper water – about 10 meters deep – where we got the chance to float over massive mountains of coral, home to countless clown fish, angel fish, and more parrot fish. Next, Rowan rode on the back of our guide, who led us under a boardwalk to what he described as “shark alley”. I thought he meant more baby sharks. He did not. 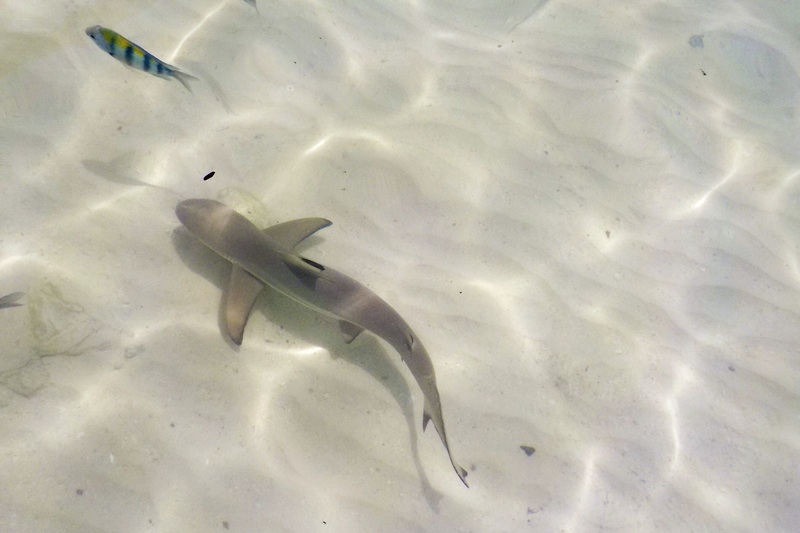 We found ourselves swimming just a few meters away from adult black tipped reef sharks, who were about 4 to 5 feet long. They didn’t seem the least bit interested in us, which was great. Their normal food is small fish, octopi and crustaceans, so even Rowan would have been too big of a meal for these little predators. After seeing the sharks, Rowan was keen to get back to shore, so I swam him back, passing about half a dozen sharks along the way. Then I did some more snorkelling, while Rowan and Kevin swam with the smaller fish near the shore. At one point, Rowan was completely surrounded by little coral fish and some of them even bit his leg, but he said it didn’t hurt a bit. Swimming in shark infested waters? That’ something, I don’t think I could have done it, too scared that they would smell my fear! I have been telling John for years that the little fish (sunfish mainly) at the end of the dock at the cottage, bite my legs! They are not even dissuaded when I kick at them, they just come back. It’s rather creepy to say the least. Hi Eva, Yes, the little fish did bite all three of us, but they felt like tiny scrapes and weren’t alarming at all. Luckily, it was only one or two among the schools of fish we were swimming with, or it may have been a little disturbing! I’m not sure what they, or your sun fish, are after though. We can’t possibly look tasty (or the right size)! When I saw the first adult shark, my heart did jump in my throat. Sharks just have that sinister profile we all recognize and fear, and these black tipped sharks were no exception. But they seemed to barely notice us, and I found out later, are pretty low key, so we were never in any real danger. It was an awesome experience and the highlight of the day. I would totally recommend it! Hi Room 8! Rowan says “I had lots of fun in the aquarium today. I saw a Nurse shark. It was very big. And I bought a box of toy sharks and there were 12 sharks and they look like babies. And I saw jelly fish in the aquarium. And Perth, Australia is very hot and sunny. I like it here. I will be back in a few weeks. See you soon!!! !